We all have dreams of doing something with our lives, to have goals and desires to achieve. Those people who succeed are often those people who have a better understanding of the time they have each day. They are able to use this time effectively and to their best advantage. The surprising thing is that we all have the same time available to us, it is just that some people are able to use this time more effectively than others. However, it is possible to train yourself to use your time more effectively and to reach your goals and dreams, learn how to maximize your time you have every day. I like to look at my time ; this includes the home part of my life too, as I work from home this, to me, makes so much more sense. Yet, if you want to separate these two entities then that is fine. The most important task is to learn what you do with your time at the moment; how you use time is a great way to learn about what will work for you and what won’t. You need to see the results otherwise, it is easy to just give up and not move forward. You also need to look back too, it is so easy to think that if you just look forward you will always make progress; this isn’t the case because you are not looking at your accomplishments as well as your failures. You need to look back at what has happened so that you are more able to prepare for the future. Without looking at how well you use your time in the past, can you judge and change how you use it in the future? 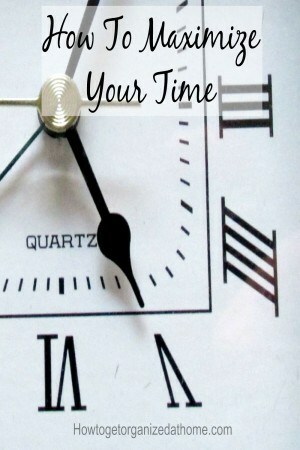 You need an accurate picture of how you use your time and what your future goals are. Only then can you work out ways to improve your time management. If you are wasting time on social media or chatting away your day with small talk, then it is difficult to actually achieve anything important. 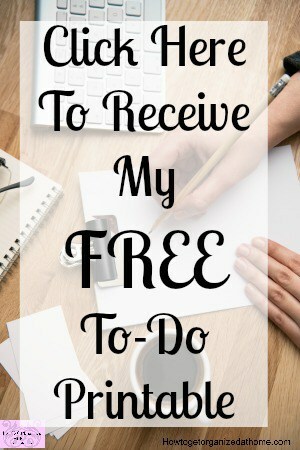 You need to put into action a plan that allows you to have this down time as well as focusing on getting your to-do list completed. The idea is getting the balance right for you; if you want to succeed in certain areas of your life, it will mean that you have to carve time into your day where you set out to achieve certain things. You build these successes into your daily lives by using small and manageable goals, ones that you must complete. The best way to do this is to create routines, get into the habit of doing certain things in the day. Build on these habits to create schedules that you can grow, which will head in the direction that you want to. We all have to-do lists, well anyone who loves lists will, the important thing that you must consider are the most important tasks that you have to complete. You must tackle these first, get the important things out-of-the-way and then you have the rest of the day to concentrate on the rest of your to-do list. It is about prioritizing your tasks and getting the most important completed as soon as possible and then focusing on the less important items. Knowing how long a task will take is great, you can fill in those dead minutes when you are waiting for an appointment or on public transport where you have spare time and it is a great time for catching up with some task or other. Making your time work for you is often the opposite of how people organize their day, they look at their to-do lists and pile it all into one day and then feel low when the list wasn’t completed. You must look at the time and then fit the tasks to the time available. If you only have 5 minutes, don’t start something that is in-depth, this isn’t good use of the time available. If you know the length of time a task will take, fit this into the time that you have; if that means you need to reschedule, this gives you an accurate picture of your day. Set limits on time, working for just 20 minutes at a time and then having a break will allow you to focus on the task and avoid distraction. A few minutes break after the timed section is a great way to reward the mind before setting the timer again. The most important thing to remember when looking to maximize your time is to avoid multitasking, this just leaves a mess of incomplete tasks and a mind that has so many different things bobbing around that you will be unable to focus on the true task at hand. Therefore, if you are looking to maximize your time, the most important points to remember are to make your time work for you and not to multi-task, as you are more than likely going to end up creating a mess and not an organized system which creates more time to achieve your goals and dreams. 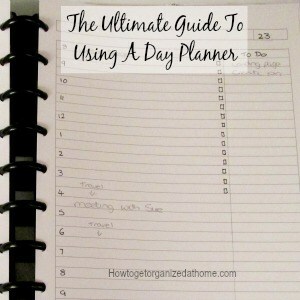 If you are looking for how to plan your day then I wrote a great article on The Ultimate Guide To Using A Day Planner! I like making my time work for me. Someone once said that God gives everyone 24 hours in a day. It is up to us how we choose to use that time, because time waits for no one. That is an awesome thought! 🙂 Thanks for visiting and taking the time to comment!